This article is written as part of a DollarsAndSense.sg collaboration with For Tomorrow. For Tomorrow is brought to you by Temasek, in partnership with MoneySmart and DollarsAndSense. All views expressed in the article are the independent opinion of DollarsAndSense.sg. 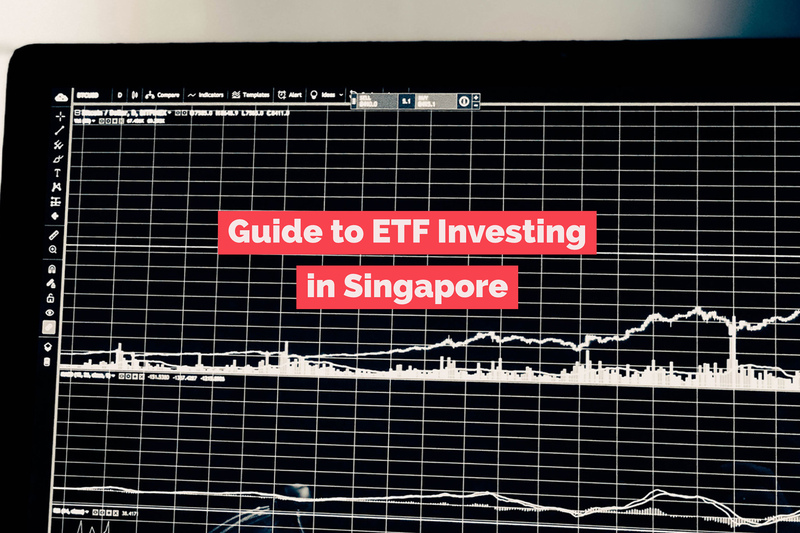 In recent years, bonds have become increasingly popular among retail investors in Singapore. 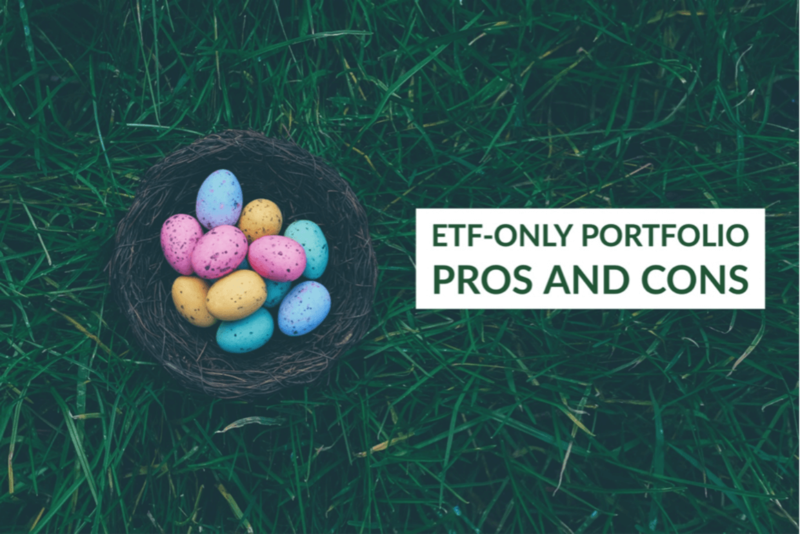 In another article, we wrote about four reasons why some investors would prefer choosing bonds over stocks. If you are keen to understand what these reasons are, we recommend that you read the article. Read Also: 4 Reasons Why Some Investors Prefer Bonds Over Stocks. Before you get started on bond investing, you should first be familiar with some of the terms that people commonly use when discussing bonds. 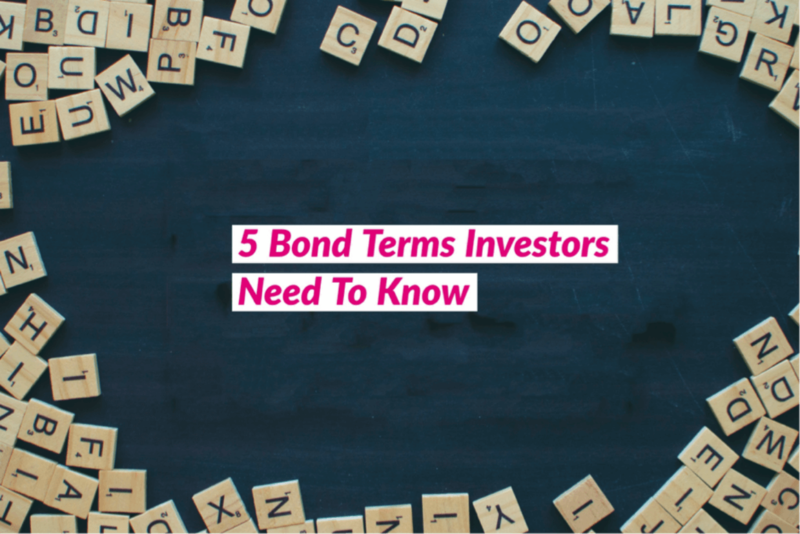 Here’s an explanation on four bond-related terms that you should understand before investing in them. Unlike stocks, bonds come with a maturity period. By definition, the maturity period is the lifespan of a bond, before it matures or expires. Some investors may also know it as the maturity date, which is the date when the bond matures, or tenor which is the amount of time left before the bond is repaid. For example, a 10 year bond issued in 2018 will have a lifespan, or maturity period, of 10 years. In 2028, the principal sum borrowed by the bond issuer (the entity that issued the bond) will be repaid to the bondholders (individuals who lent the money). Once all payments, including interests, have been made, the bond is said to have matured. Do note that some bonds have features that may affect its maturity period. Puttable Bonds: Puttable bonds provide an option for bondholders to demand repayment of these bonds at a date earlier than its maturity date. These dates are usually specified within the offering document. Callable Bonds: Callable bonds are the opposite of puttable bonds. These bonds offer the issuer an option to redeem the bonds at an earlier date. These dates are also usually specified. Perpetual Bonds: Perpetual bonds are unique as they do not have a maturity date. Bond issuers usually have the option of redeeming these bonds at specific points in time if they wish to. 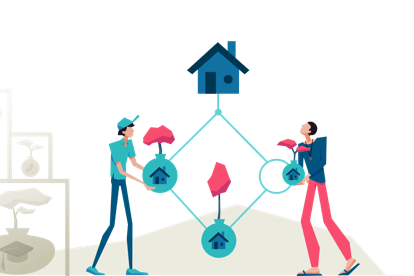 Very often, they will simply let the bonds roll on until they are able to receive a lower interest rate than what they are currently paying on their bond. One thing to note is that these features of a bond may increase or decrease the market value of bonds, depending on whether the features are of advantage to bondholders or bond issuers. For example, a callable bond gives bond issuer an advantage since it gives the issuer the option, but not the obligation to redeem the bonds at an earlier date. On the other hand, a puttable bond gives bondholders the advantage to redeem the bond earlier, if they would like to do so. Bonds across the world are usually rated by one of these three rating agencies; Standard & Poor’s, Moody’s and Fitch. 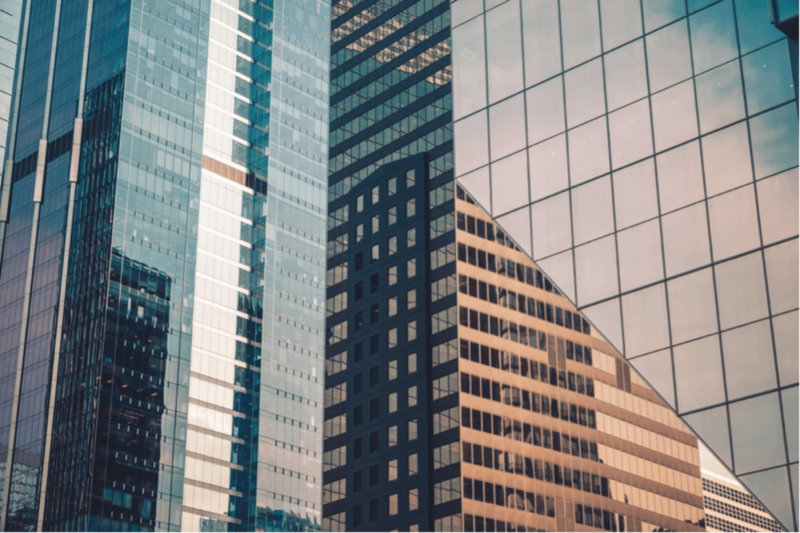 When a bond is rated AAA, the highest possible rating attainable, it means that the rating agencies are very confident about the ability of the bond issuer to meet its repayment obligation. In essence, these ratings are scores that determine the quality of a bond. The higher the rating, the higher the quality a bond is deemed to be. 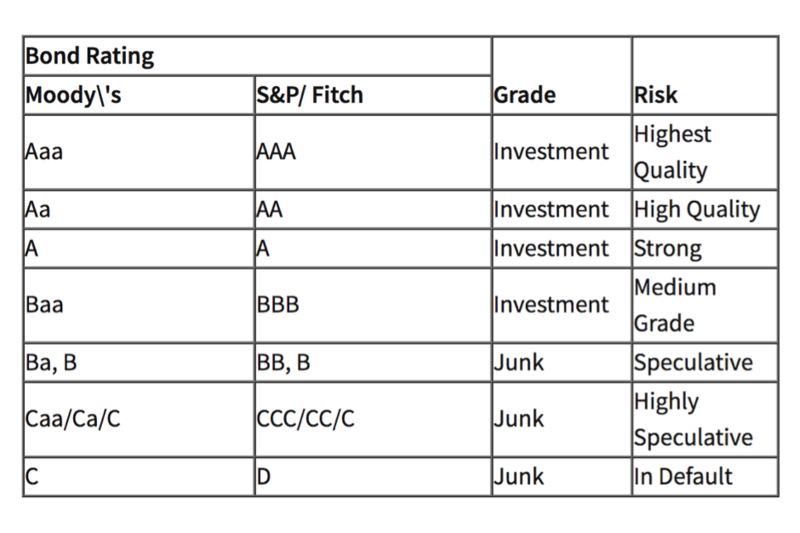 Below is a table from Investopedia that depicts the different grades that can be given by major rating agencies, and what they mean in terms of returns and risk. Bonds that are rated below BBB (or Baa for Moody’s) are considered junk bonds. This does not mean you cannot invest into them. Rather, it means that the rating agencies consider these bonds as very risky investments. Such bonds tend to pay a much higher coupon rate as a premium to investors for taking on such high risk. It’s important to note that most bonds in Singapore will not be rated. This doesn’t necessarily mean that these bonds are of poorer quality, but rather, that they simply weren’t rated by any of these rating agencies. Generally, coupon payments can be understood as the annual interest repayment that a bond issuer is giving, in return for the capital borrowed from the investor. For example, a 10 year bond with a coupon payment of 5% provides investors with a return of 5% a year. An investor who invests $100,000 into the bond can expect a coupon payment of $5,000 (5%) each year, for the next 10 years. However, once a bond is traded on the secondary market (i.e. you buy the bond from another investor, instead of buying it from the bond issuers directly), coupon payments may not always represent the annual interest rate an investor stands to receive. That’s because the price of bonds traded on the secondary market will fluctuate, even though the coupon payment each year remains the same. This happens because new bonds may be issued to the market. If market interest rate goes down, a bond issuer will be able to issue new bonds at a lower interest rate. This causes the effect of existing bonds in the market being more attractive, and hence, it’s value will increase. For example, a bond with a face value of $100,000 and a coupon payment of 5% may see its value increase to $110,000 if interest rates were to fall. In this instance, the annual interest returns for the bond to a new investor who buys it at $110,000 will become 4.55% (5,000/110,000). While coupon payments tell you how much you will receive each year, this does not equate into what your annual returns, or yield to maturity, will be if you hold the bond till maturity. Let us explain. Assuming an investor buys the bond from the bond issuer and holds it till maturity, his coupon payment of $5,000 will give him a 5% return each year, which is also his yield to maturity. However, if an investor buys the same bond with a 10 years maturity for $110,000, his coupon payment will still be $5,000. At the end of 10 years, he will only receive the face value of $100,000, despite paying $110,000 for the bond. Hence, his yield to maturity is only 3.78%. The yield to maturity calculates the bond yield from the day an investor buys a bond to the day the bond matures. What you need to remember is that this may or may not be equal to the coupon payment received from the bond issuer. When interest rates increase, bond prices tend to decline, and vice versa. Duration is a measurement of how sensitive a bond’s price is, with regards to the changes in market interest rates. The higher the duration of a bond, the larger its price movement will be when market interest rate changes. While bonds are generally considered less risky as compared to stocks, it doesn’t mean that they are without risk. As explained above, bonds issued from different companies can have differing credit ratings, maturity and returns as well as see its prices fluctuate with market sentiments or changes in interest rates. So be sure to understand some of these characteristics of bonds before you invest into them. When Should I Cut Losses On A Declining Stock?